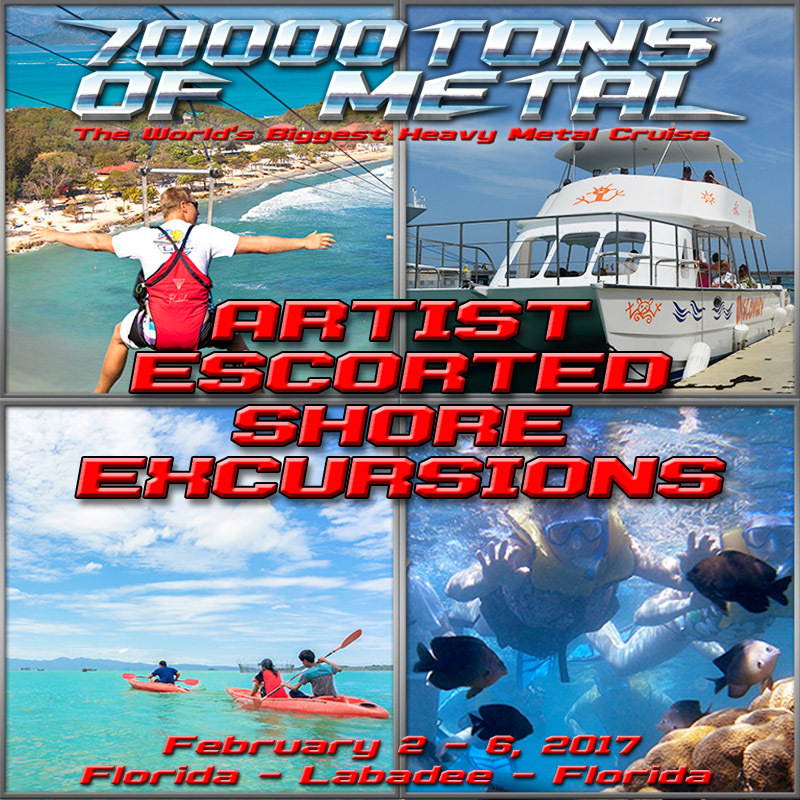 We are less than 3 weeks away from Round 7 of 70000TONS OF METAL! The Original, The World’s Biggest Heavy Metal Cruise will sail from Florida to Labadee on board the Independence of the Seas, leaving from Port Everglades in Ft. Lauderdale near Miami, FL on Thursday, February 2nd 2017 and returning on Monday, February 6th. Make the most of your time in Labadee by booking a Shore Excursion through Royal Caribbean, who arrange your early debarkation and transport, so you are sure to be back at port in time for boarding. Relax and recharge or take advantage of an array of water sports and activities, including the famous Dragon’s Breath Zip Line (the world’s longest zip line over water). Book one of the artist escorted Shore Excursions and you could enjoy your day in Labadee alongside members of DEVILDRIVER, TROLLFEST, DEATH ANGEL and OMNIUM GATHERUM!